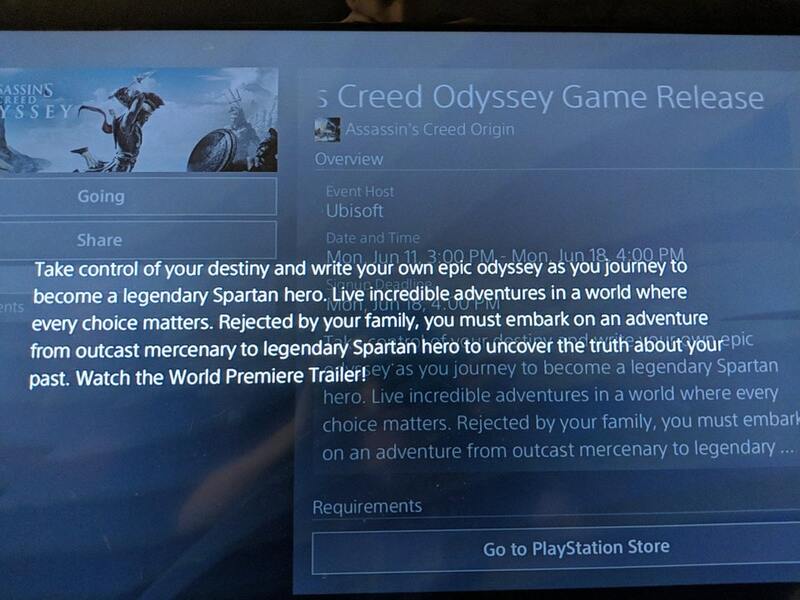 Assassin’s Creed Odyssey is the next chapter in Ubisoft’s big open world action RPG franchise, as officially confirmed by the publisher just a few days ago. The full reveal of the game is scheduled during Ubisoft’s E3 2018 conference (available via YouTube, Twitch, Facebook and Twitter on June 11th at 1 PM Pacific Time) but in the meantime, the game’s description and logo were leaked earlier today via the PlayStation Store. Though the event page has since been removed, nothing ever escapes the Internet and a few snapshots were grabbed before that happened. Take control of your destiny and write your own epic odyssey as you journey to become a legendary Spartan hero. Live incredible adventures in a world where every choice matters. Rejected by your family, you must embark on an adventure from outcast mercenary to legendary Spartan hero to uncover the truth about your past. 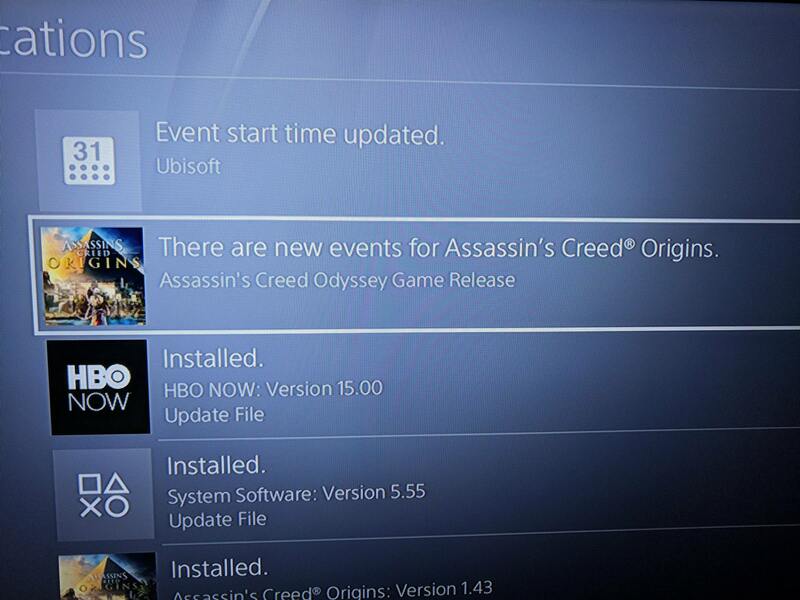 This description seems to confirm early rumors reported by Kotaku, according to which the game will be even more different from the previous entries than Assassin’s Creed Origins. It appears that the developers are going all-in with the RPG elements between dialogue options with consequences and the ability to choose a male or female protagonist. While this all sounds intriguing, some fans are wondering whether Assassin’s Creed Odyssey could be too far removed from the usual Assassin’s Creed mechanics and lore. In particular, Origins focused heavily on how the Templars and the Assassins (the two factions secretly warring for millennia in Assassin’s Creed) came to be, with Bayek and Aya founding the Brotherhood. 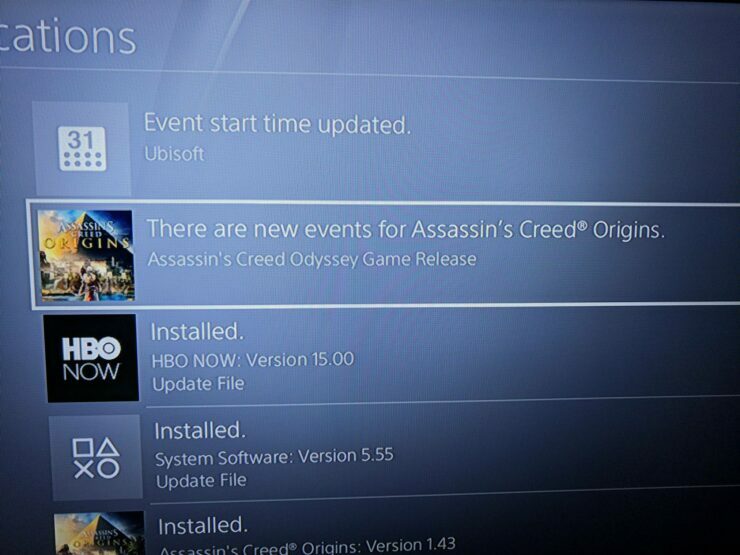 Odyssey seems to take place far earlier and so far, there seems to be no reference to the Assassins (or Templars, for that matter). Of course, we still have to get any official details so it’s definitely too early to pass judgment. Still, are you intrigued by this brief premise? Let us know in the comments.